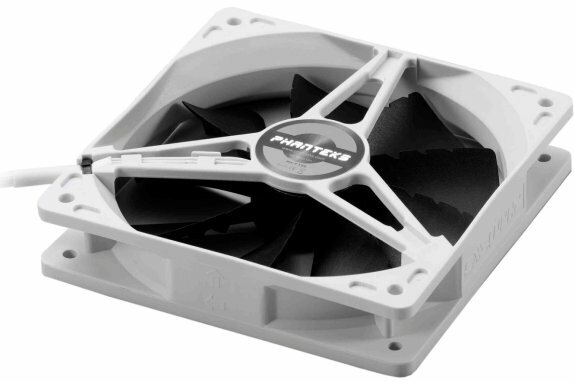 Phanteks introduced a new line of 120mm fans. The PH-F1120S spins at 1300RPM, it has an airflow of 50.72CFM and a noise level of 23.5dBA. You can get it in two different versions a white frame/white blade model and a white frame/black blades edition. Phanteks says the fans will start shipping within a week or two for $14.99. Phanteks announced the launch of the Phanteks PH-F120S fan series today. The PH-F120S series ( 120mm x 25mm x 25mm ) can be used as a case fan and it is compatible with the award winning PH-TC14PE CPU Cooler. The PH-F120S comes in two colours, White frame/White blades and White frame/Black blades. 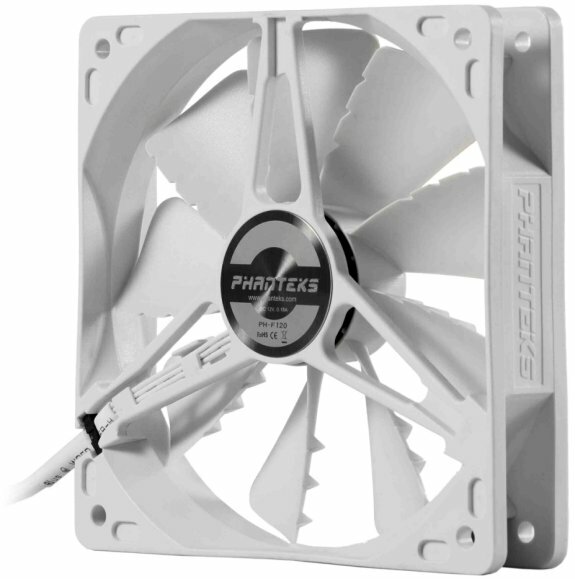 The PH-F120S fan series are designed using the unique Maelström concept technology that has already been used in the PH-F140TS fan series. Equipped with Anti-Vibration Compensators the PH-F120S offers optimum airflow while keeping the noise level down to a minimum.